The Centre for Small State Studies at the University of Iceland together with Vilnius University and other partners were recently awarded a grant from the European Union’s Jean Monnet Activities programme, Jean Monnet Networks. 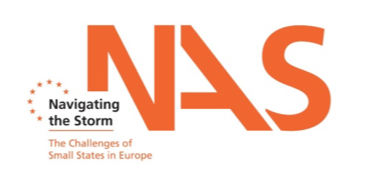 The grant was given to implement a project „Navigating the Storm: The Challenges of Small States in Europe”.During the next three years the ten higher education institutions will develop close cooperation in the field of small state studies and publish a book on current challenges of small states. Within the framework of the project the workshop „Small States and the Changing Security Environment in Europe” was organized and hosted at the Institute of International Relations and Political Science, Vilnius University. The workshop was an open event dedicated to small states and the challenges of today‘s international arena. Invited speakers gave talks about small states and the new Trump era; small states and international security institutions; economic security as well as affects on small states caused by external shocks. The workshop provided a platform for the partners to present their on-going research and also served as an important forum for the exchange of ideas and best practices. Main speakers of the event were Dr. Andrew Cottey (University College Cork), Prof. Diana Panke (University of Freiburg), Prof. Baldur Thorhallsson (University of Iceland), Dr. Magnus Feldmann (University of Bristol), Prof. Ramūnas Vilpišauskas (Vilnius University) and Dr. Vytautas Kuokštis (Vilnius University).